 Midway hosts a hidden network of trails for it’s residents and visitors to enjoy. The trails received major upgrades in 2009 by the Midway Trails Society, who maintains the upkeep of the trails, and now meet International Mountain Bike Association standards and are open to hikers, mountain bikers, and trail runners. Casual hikers and walkers can enjoy the popular Riverwalk Trail that meanders along the Kettle River through the trees. Choose to do an out-and-back route or loop back into Midway via the Trans Canada Trail. The hiker looking for more of a challenge can head into the hills overlooking MIdway. A variety of trails and distances are available for all fitness levels. View points are well marked and offer spectacular views of both Canada and the United States – don’t forget your camera. The trails are well-marked and trail maps are located at both entrances and at most major intersections. Sign-in boxes are prominent to let us know you were there. The Kettle Valley Rail Trail (KVR) is an exciting experience winding a historical route through Boundary Country. Combining railway history, natural beauty, and aboriginal culture, the KVR connects rural communities presenting a variety of farm flavours, folklores, and local pastimes. From rugged mountain passes to tranquil river valleys, the KVR sweeps you across a vast and ever changing landscape. 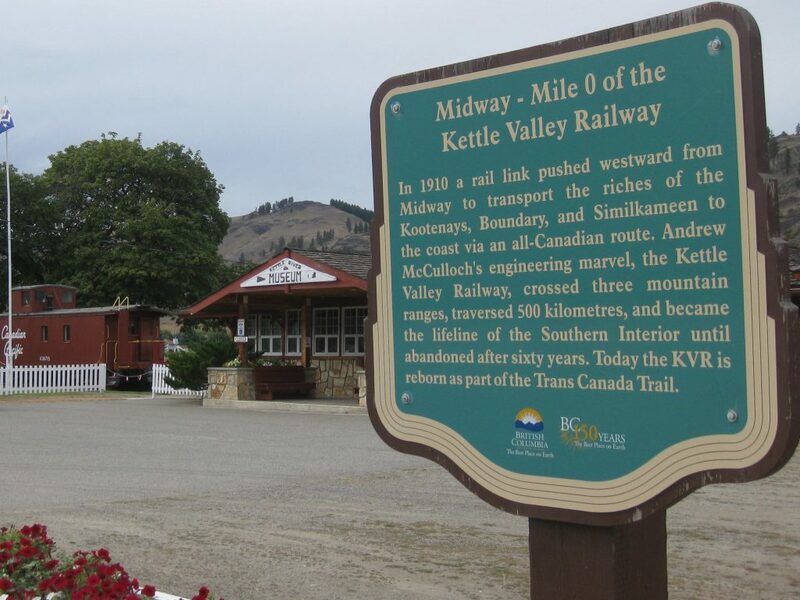 The KVR and the Columbia and Western Railway (C&W) meet at Midway and now form a 240 km (149 mi) section of the Great Trail (formerly the Trans Canada Trail). Take a day trip or spend the night camping under the stars. The Great Trail, KVR, and C&W offer a myriad of experiences for explorers of all ages and agility. These trails are best experienced on 2.4 inch tires. 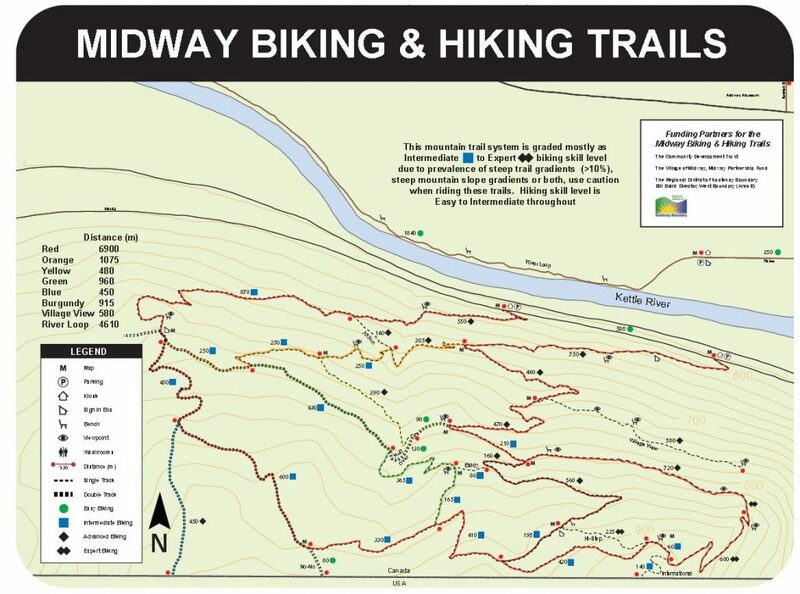 For more information, photos, and trail maps please visit the Midway Trails Society website. 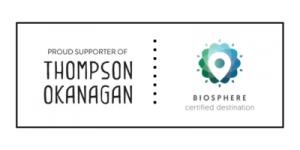 The Village of Midway is now offering an adopt-a-bench program as a permanent fund to maintain and endow the care of Village benches along the Riverwalk Hiking Trails that meander through old-growth Ponderosa Pine along the north bank of the Kettle River then join with the Trans Canada Trail for a 4.6 km loop back into Midway. For more information please refer to the Adopt-a-bench Application.